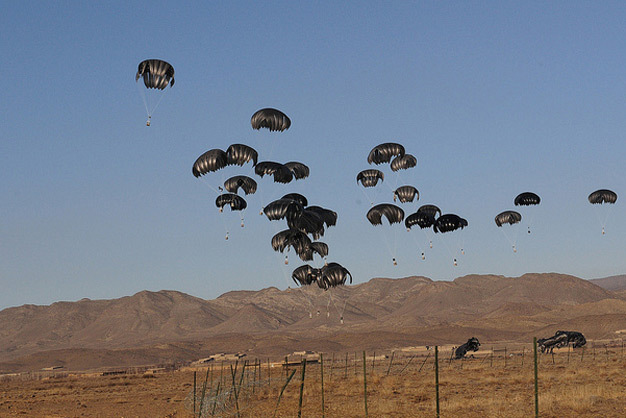 Parachutes with more than 40 payloads of fuel float down to an open field southwest of Forward Operating Base Boris, March 8, 2012. The FOB’s fuel is being resupplied in anticipation of the spring fighting season. Photo by US Army Sgt. William Begley, RC-East PAO.